A first look at what the Asia athletes are up against. We are proud to announce we are only days away from the 2010 Asia Regionals Qualifying Competition. 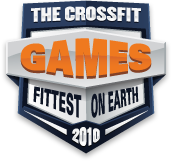 Athletes will be competing for 2 male and 2 female births and a chance to advance to the CrossFit Games Finals at the Home Depot Center in Los Angeles.